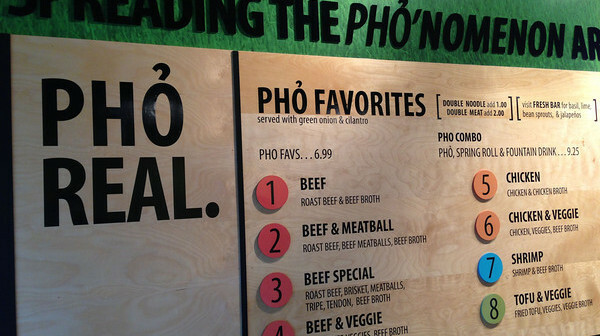 This “What The Pho” is a new addition to the Tacoma Mall in Tacoma (just South of downtown Seattle). The four of us (my girlfriend, her sister and boyfriend, and I) were on our way to Portland, Oregon. So we decided to stop here for lunch and the girlfriend wanted something soupy as it was cold and wet out. My eyes were on Chipotle before we got out of the car, but for some reason my girlfriend had spotted this Pho place next to it. They had just opened for 2 weeks. 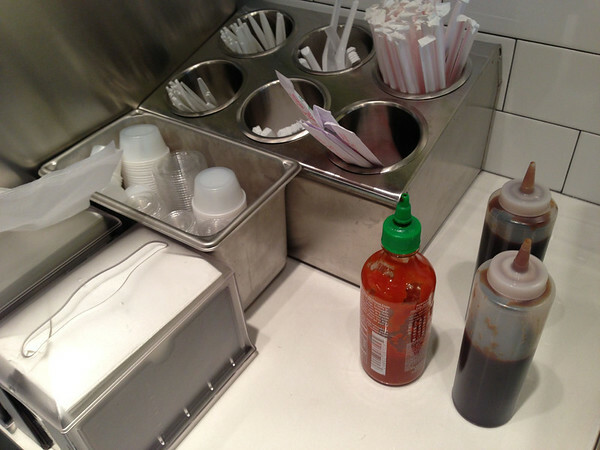 Though they don’t have a variety like at most traditional Pho places in Vancouver. But they have the usual’s like beef/pork/chicken/seafood. 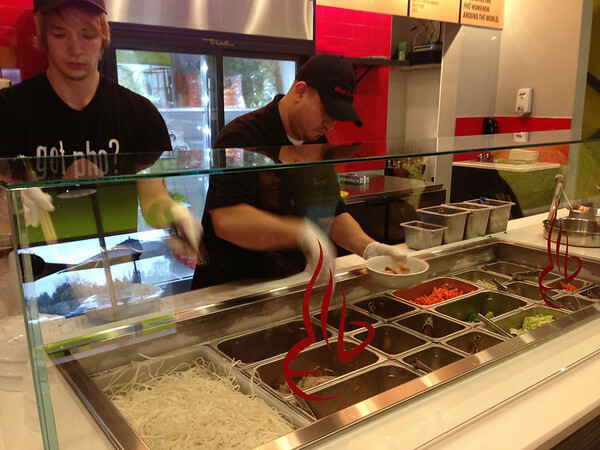 The ingredients are made right in front of your eyes (or rather picked in front of your eyes). 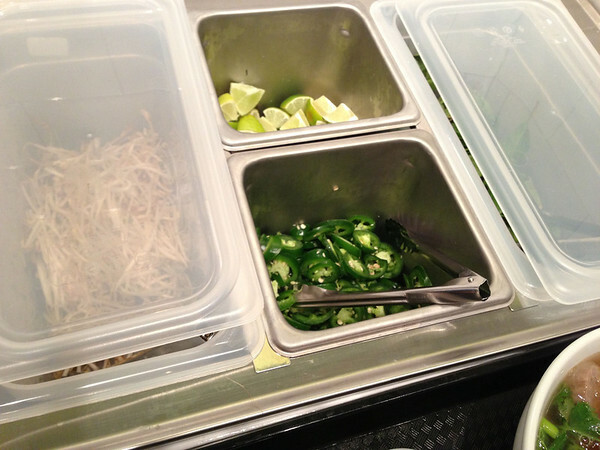 After paying, you will find beansprouts, lime, jalapeno and mint leaves on the side table for your convenience. As well as, hot and “hoi sin” seafood sauce. The four of us all got the beef special which included roast beef, beef brisket, meatballs, tripe, tendon and simmered in beef broth. 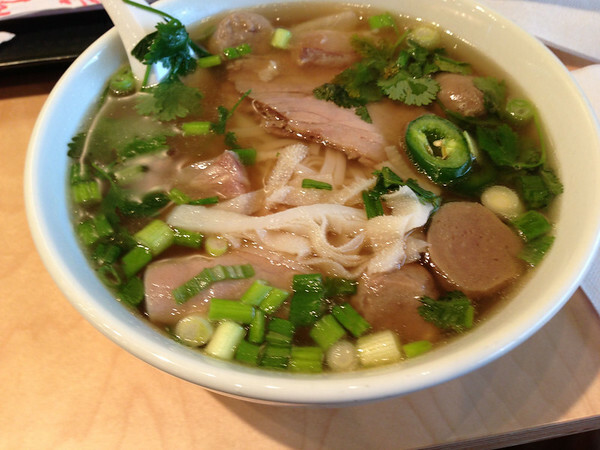 For $6.99, this was definitely more expensive than a traditional bowl of Pho. The noodles were thicker than usual and the broth could be a little hotter, it was warm at best. The flavours weren’t bad though.